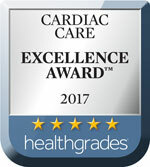 Get your heart health back on track with the award-winning cardiovascular services offered at Southcoast Heart Center. At Southcoast Health, we understand that with a strong heart you can get more out of life. That is why we help your heart be as healthy as it can be. Our team includes cardiologists and other heart specialists in southeastern Massachusetts and Rhode Island who have years of experience in the treatment of heart disease. Caring for the heart requires an insightful mind, and our cardiologists, structural heart specialists and cardiovascular surgeons are the best and the brightest. With exceptional training, our doctors deliver the compassionate, personal care that our heart patients deserve. Whether addressing your heart disease with our Structural Heart Program and Valve Clinic or managing your Afib through our Atrial Fibrillation Wellness Program, our cardiology team is here for you. We will guide your healthy lifestyle changes, care for you should you need surgery, and provide support for everything in between. Click Here for a full review of the cardiovascular services and treatments we provide at Southcoast Health. 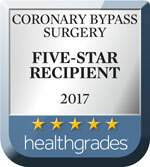 Our cardiologists, heart specialists and cardiac surgeons provide professional heart care services with leading-edge techniques and advanced treatment plans that are customized to your needs. We are proud to say that the Southcoast Health heart program has been ranked by Healthgrades as one of the Top 10% in the Nation for Overall Cardiac Service for nine consecutive years. BetterDoctor named us as the Best Hospital for Heart Attack Care in New England, and we are ranked eighth in the nation. Through the Southcoast Heart Center, we are convinced you can be the healthy person you want to be. With this level of care so close to home, there’s no reason to go anywhere else. We offer general cardiology consultations in our practices throughout the region. 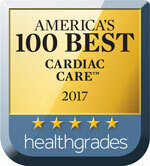 Find a cardiologist or cardiovascular surgeon near you today for award-winning, individualized heart care. Southcoast Health provides cardiac care in Fall River, Dartmouth, New Bedford and Wareham, MA and Rhode Island. We offer general cardiology consultation in our practices throughout the region.